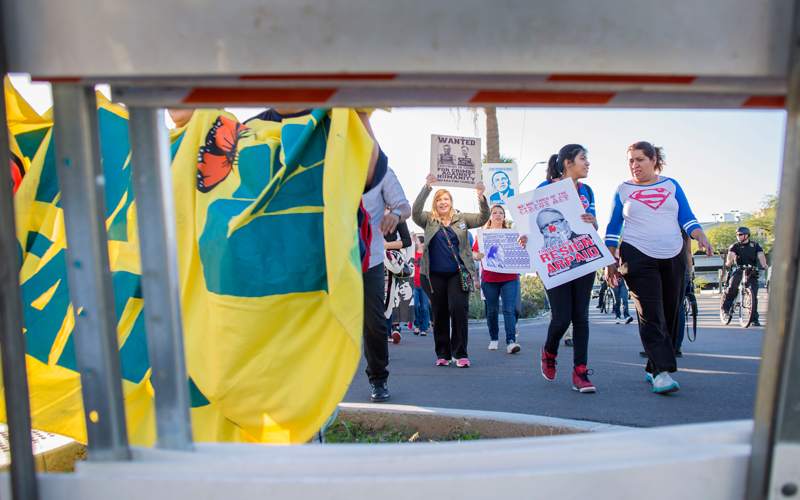 Protesters of all ages carried posters demanding the Obama administration stop deporting their relatives. Protesters carry various posters demanding Sheriff Joe Arpaio resign. 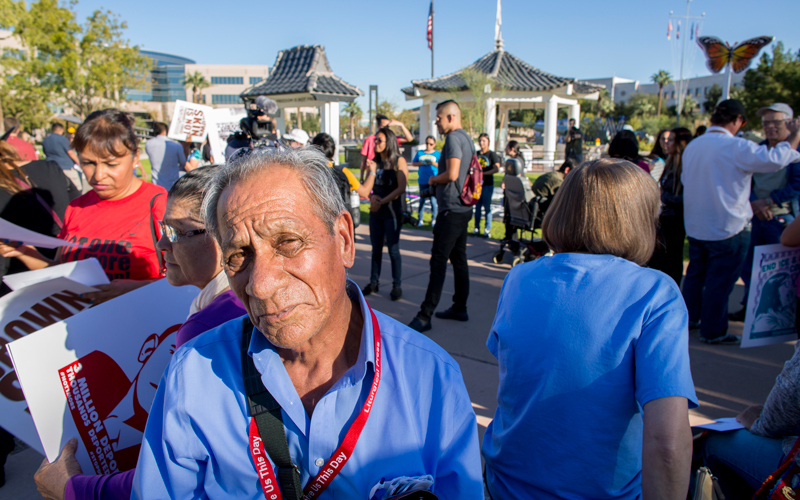 Jose Roberto García, 73, joins the protest to stop the mass deportations dividing families. The father of two U.S. citizens faced a DUI charge in 2011. After he settled the case deportation proceedings were put on hold. But this fall immigration authorities contacted him again. 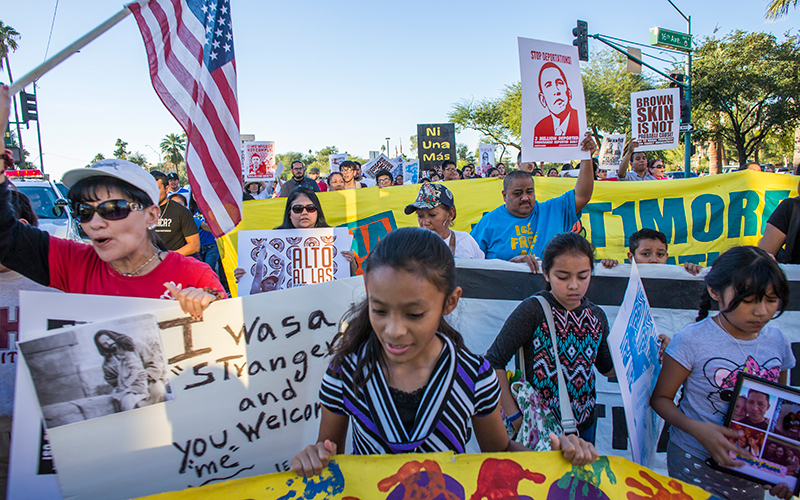 It was a year ago that President Obama announced a series of executive orders on DACA and DAPA and said the priority was to deport “felons and not families.” But protesters say little has changed. And families are coping with separation this holiday season. “We can imagine Christmas. I don’t see how can celebrate,” said Bonilla.